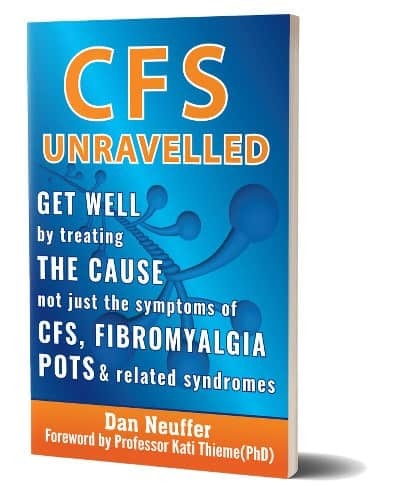 Five years in the making, CFS Unravelled draws on Dan Neuffer's extensive research and problem solving ability to present an all-encompassing explanation that demystifies Fibromyalgia, ME/CFS, POTS and related syndromes and paves a clear way for recovery. Available in paperback and as an eBook at your local Amazon or online book retailer. Check out the below list of retailers to order your copy today. How does understanding the root mechanism of this illness make recovery possible? Why do people get this illness in so many different ways? How is it possible that people recover with such varying treatments and strategies? Why do recovery strategies that work for one person not necessarily work for another? How are all these syndromes and the huge range of symptoms all related? How are flare-ups actually triggered? How is energy created in your body and why do these systems stop working efficiently? How and why are pain and inflammation created? Why are some diet strategies essential and other common recommendations absolutely detrimental? Why does Graded Exercise Therapy (GET) fail so many people and why is appropriate physical activity essential for recovery? Perhaps only someone that has actually experienced this syndrome understands the frustration in endlessly trying treatments for all the various symptoms – trying one ‘cure’ after the other. I have been after a book which actually makes 'sense' about the illness, this book has given me that along with a lot of confidence to move forward. I now believe this book can give me the tools to get better, so I have hope after 5 years of searching! Watch this space, as a new me could well be here in a few months time! 🙂 If you have CFS/Fibro, then buy this and BELIEVE in it. This book by Dan Neuffer is one of the best books I've read on CFS/Fibro and how to recover. Neuffer brings a thoughtful, scientific and unassuming approach to the quest for answers and his explanation might just be what we all have been waiting for. It doesn’t leave any questions unanswered. I have been sick with CFS/Fibro for 16 years, seen 6 G.P.’s and over 10 Medical Specialists as well as about 6 alternative health practitioners, and read almost every book written on the subject. Nobody fully explained how CFS/Fibro works and how people really get it and recover from it, UNTIL NOW. I finally have the confidence and the tools to recover. I never thought I would feel hopeful and excited again about getting my life back. I've been studying these diseases and reading the research for more than 25 years. In that time, I've come across many experts... Dan has done the best job I've seen to date of putting all the pieces together into one comprehensive explanation. The most exciting book on ME/CFS! Truly. It's quite clearly the most exciting and valuable book on ME/CFS that I've encountered in the 15 years that I've been ill with this mysterious "disease". "CFS Unravelled" demonstrates in simple language how to restore the balance of energy utilisation in your own body and cure yourself completely. I never thought I would say those words and it's a bold claim. Buy this book and you'll see it's justified. Dan also gives free backup and inspiration via his website which I find enormously helpful already. He's a most kind and gentle man and you will not regret buying this book. I promise! Having been ill with this for well over 20 years it was a revelation to read CFS Unravelled. I have read many books and looked for explanations but this is the ONLY book that has made things clear to me and has given me an understanding of what is going on. This is the only book I have found that gives a valid and detailed explanation for what may be going on in our bodies. It all makes sense, and in making sense immediately resolves a lot of the stress and confusion. Yes there is work to do to possibly get well, but reading and understanding was the first step for me. Hands down the best-written book of all fibro books...and I have read them all. I also agree with his conclusions 100%! I had waited for this kind of book for a long time. Dan Neuffer explains scientifically how and why it is so difficult to recover, but also shows that it can be done. After having read this book I slept better and got more hope to recover myself. This is the best most comprehensive book on CFS I have ever read and I HAVE READ LOADS!! The explanations about how vitamins affect your body were clear and concise, thank you for this. I have recommended it to loads of my support group members. This book is a must read for anyone who wants to heal themselves. I have been reading and researching CFS for two years now and this is hands down required reading. I wish I had found it earlier. The illness is such an expansive topic, and further reading will likely delve into topics such as adrenal health or gut inflammation, to name a few, but you must read CFS Unravelled first to fully understand how those treatments fit into the larger picture and understand the source. For years, I kept searching for cures and treatments, but never for the cause of the illness – WHAT A BIG MISTAKE!!! Then I read CFS Unravelled and it seemed like it was tailor written for me. Nothing about Fibromyalgia or CFS that I have ever read before has brought it all together like this. What a great book for partners to read – finally my husband understood what I was going through, but more importantly, how to help me recover and stay well. Just give it a chance, reading CFS Unravelled will be the only book on CFS/Fibro you need to read. This is by far the best book I have read and I have read many. The science behind the illness is explained and then how you can help yourself to recover. Your nervous system has been traumatized and no magical pill will fix this problem. I can honestly say that CFS Unravelled has changed my life in some way. I have not been given this information about cfs anywhere else and I believe and can relate to it 100%. I have been recommending your book ever since i read it thank you! I feel like "the penny has dropped", that I am no longer fumbling in the dark looking for answers form a myriad of sources. I know what I have to prioritise to support recovery, and I feel I now have enough understanding about what is actually happening in my body to know what professional advice and guidance to take on board to further support recovery. Someone just switched a light on.... thanks Dan! The author's covers some significant explanations of the symptoms, yet steps back and looks at the bigger picture, i.e. a dysfunction within the autonomic nervous system. His writing style is clear and he expresses some complex concepts in a thoughtful and thorough manner. I would thoroughly recommend it as a starting point for anyone who is seeking to understand the underlying mechanisms for CFS/Fibro and a way forward in terms of addressing it! Wow! This book blew me away. I've been ill for years and I had just resigned myself to being ill forever. I felt like I was never going to get to the bottom of why I feel so awful nearly every day of my life. But then I read this book and I feel like somebody understands me. I feel like there is an explanation for all this. Not only that but I feel like I can get better. I know it's not going to be easy but I don't feel so depressed about it. It's helped me understand what is happening in my body and has also motivated me too. There is an action plan at the end of the book which I intend to use. Feeling very positive for the first time in a long time. You can see ﻿﻿﻿more testimonials ﻿here﻿. This book covers a good range of current treatments available, A lot of them I have personally researched and attempted to implement. Many like myself suffering find it extremely exhausting going through all the different information on cfs and to buy costly treatments and diet plans,supplements but still feeling no better after. This book is encouraging to really look for the root cause of cfs and not just concentrate on the symptoms which can be many as we all know. The information received has really put a lot of things into perspective about how to recover from cfs I feel confident I'm on the right track finally after years of struggling. Whoever reads this please keep on going and never never given in because after pain comes success. This is a must-read for anyone who has myalgic encephalomyelitis, chronic fatigue syndrome, multiple chemical sensitivity, and/or fibromyalgia. Writing from his personal life and research, Dan Neuffer clearly lays out his hypothesis and supports it with medical research. I am a nurse practitioner and wish I had read his explanation of the most complex physiological interactions when I was in school because it would have saved me having to decipher them myself. Dan presents clear and compelling evidence that autonomic nervous system dysfunction is the root of it all. However, this is not a boring treatise even though it describes in detail the pathophysiology that causes the many diverse symptoms we deal with. After carefully explaining why we are so sick, he presents an action plan that is also supported by research and common sense. I am homebound with ME so I will have to go slowly and carefully, but I believe that I can regain much of my former life...and leave behind the things that were so detrimental to my health. I am very thankful for the palpable energy of support Dan has put out into the world. I downloaded CFS Unravelled a few days ago. Although the book contains a lot of information - it is very well organized with easy to read formatting. Dan's research, support, and encouragement are a gift; exactly what I needed at this time to move me back into a place of action with a sense of confidence and support (the process of action has already begun both inwardly as well as out). I have prior experience using "brain-retraining" modalities (DNRS, tapping, Sedona Method) as a method of normalizing/coping with dysfunction due to chronic illness. I have become aware of how ingrained the fear response has become in me - it has become the set point in my life. This work of "resetting" the ANS works for me (i.e. it provides relief, hope, confidence). Dan's research and personal experience resonates deeply with what I have been intuitively coming to understand. He doesn't know it, but he has become my biggest cheerleader! Wow! This book blew me away. I've been ill with ME/CFS for years and I had just resigned myself to being ill forever. I felt like I was never going to get to the bottom of why I feel so awful nearly every day of my life. But then I read this book and I feel like somebody understands me. I feel like there is an explanation for all this. Not only that but I feel like I can get better. I know it's not going to be easy but I don't feel so depressed about it. It's helped me understand what is happening in my body and has also motivated me too. There is an action plan at the end of the book which I intend to use. Feeling very positive for the first time in a long time. I was only diagnosed with CFS seven months ago but have been dealing with the symptoms in some degree for many years. It wasn't until I could not work anymore that I pushed to get further help than just the basic blood tests. I have been lucky to be able to regularly visit a clinic in Halifax, NS that specializes in Environmental Illness. I believe the physicians and other practitioners who run the clinic would agree with Neuffer's main hypothesis. It is what they have been telling me since the first time I went there. But this book helped me to understand the causes of the symptoms much better. It was also amazing to read a book by someone with such a great understanding of what I have been going through. I have been lucky to have a supportive health care team but that is often rare with those who experience CFS. This book would be hugely helpful to those who have not been able to get a recovery plan into effect. The suggestions in this book solidify that I am on the right path and motivates me to commit even further to the techniques and diet that have been helping me slowly improve. I plan to give a copy to everyone in my life who will read it. If you have CFS, then buy this and BELIEVE in it. Experiencing CFS/FM for the past 13 years, I've tried all sorts of different treatments only to be met with brief improvement of symptoms followed by failure every single time. After reading through this book and watching the accompanying videos on the author's website, I have hope again. It was a pain to read all of the discussions trying to explain his thesis that all of this dysfunction can be traced back to the Autonomic Nervous System, but after taking breaks and reading it in chunks, I began to see how all of the dots connected. This is the first time I've read CFS/FM research and had it satisfy sufficiently explaining how all of these different symptoms and secondary issues can be caused by one thing. After 2 days of implementing his recommendations, I am already experiencing some relief of symptoms and am going to meet with my doctor to continue customizing the author's approach to my specific situation. This book gives an overview of his theory for the single cause for CFS/FM, and suggestions for diet, exercise, sleep schedule, and supplements, but not very in depth because each person is different and needs to identify their own emotional and physical triggers with the guidance of a professional who is engaged in an ongoing relationship to lead back to wellness. This book has given me a great start, and I am hopeful again for the first time in many years. I'll return in a few months to update my progress, but right now am recommending this book to everyone I know who is dealing with this issue. I think many of the negative reviews misinterpret the author's instructions and just glanced through the explanations and took things out of context. I have been suffering from CFS/Fibro for 6 years. For many of those years I avoided the label CFS and simply explored my new experience of life with fresh eyes of curosity. Hence I was not locked into 'CFS-speak' and CFS-Self-Limiting paradigms. Whilst I have not fully recovered, I am experiencing life differently - a difference I like and relish. And feel like I am on the verge of full recovery. CFS Unravelled is the result of a passionate man who knows from experience what it means to has this condition. After 6 years of exploring over 30 modalities of healing, even including acting and tantra I resonated strongly with the findings presented in CFS Unravelled. I like the fact that the wheel had not been re-invented here to. It honours existing, often little read, research. I highly recommend this book to anyone who wishes to take responsibility for their healing. I loved Dan's writing style, he made some very difficult concepts easy to understand which helped me to consolidate information I'd previously struggled to get my head around. He dealt with some of the more controversial aspects of CFS in a empathic and sensitive manner. Many books have been written on the subject of CFS. I've read most of them! However, between this book, Chronic Fatigue Syndrome, a natural way to treat ME by Professor Puri and Power Up Your Brain by Dr. David Perlmutter and Alberto Villoldo Ph.D I learnt more than in all the previous books put together. For the first time in months I feel like I know what I need to know in order to make a FULL recovery, and I can see exactly why I didn't make a full recovery before. To reflect on what other reviewers have said, this book does need to be read from beginning to end, in that order. No skimming or flicking through. To thoroughly understand what Dan is proposing you have to follow the process he went through. This book by Dan Neuffer is one of the best books I've read on CFS and how to recover. Neuffer brings a thoughtful, scientific and unassuming approach to the quest for answers to CFS - and his hypothesis might just be the explanation we have been waiting for. His hypothesis certainly holds up to the everyday experience of many people with CFS. A must-read for anyone with CFS, and medical practitioners who want to have a fuller understanding of this mysterious and confusing condition. Having been ill with ME/CFS for well over 20 years it was a revelation to read this book by Dan Neuffer. I have read many books and looked for explanations but this is the ONLY book that has made things clear to me and has given me an understanding of what is going on. A very well researched and detailed book by someone who suffered himself for many years. The book itself I have found has a healing property (well for me) how much worry and confusion do we feel when all this stuff and symptoms are happening to us and nothing makes sense and everyone has a different explanation as to what is wrong and how we should get better. This is the only book I have found that gives a valid and detailed explanation for what may be going on in our bodies. It all makes sense, and in making sense immediately resolves a lot of the stress and confusion. Yes there is work to do to possibly get well, but reading and understanding was the first step for me. It is a long and technical book, but don't be put off by this, read a bit at a time and take some time to digest it. It will be worth it in my opinion. 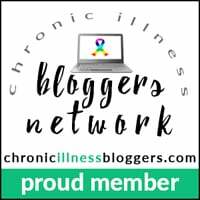 PLEASE NOTE: This is a good read for both FIBROMYALGIA and CFS sufferers. Yes, the author, Dan Neuffer, was afflicted with CFS/Fibro for years, but through his own research was able to overcome his CFS/Fibro. He is/was a physicist, so the first half of the book is a but heavy in the science behind his theory of the cause of CFS, but it is still worth the read. I didn't understand it ALL but I got the gist of it, and a LOT of it did relate to info I have already heard and read about over the years, so it did give me the confidence that I am on the right track and to keep reading the book. And I agree with the author, though its not easy to understand ALL the science, do NOT skip that part of the book, it helps to even semi-understand or be semi-familiar with the science part before you start treating. The author does emphasize throughout the book that it is up to YOU to help YOURSELF, and I think some people get offended by that. But it is true, when you are ready to tackle it, only you can help yourself, find the right resources, listen to your body, and help heal yourself. Yes, you employ the help of doctors and naturopaths, supplements, food, diet, exercise, meditation, life balancing techniques, but it IS up to YOU to take control and define your healing destiny. His book is an excellent guide as to WHAT (the cause) you are treating, and the overall key elements to hit -- again let me emphasize it is an overall program managing stress, diet, sleep, exercise, maintaining a positive attitude and outlook and creating a healthy life balance to move forward with. It all may sound very simple, and yes, it is simple and logical once you read this, but again it really helped me to understand WHY yoga has helped, and WHY the supplements that I take have helped me with feeling better, and WHY cutting out certain foods has helped me, and it provided me MORE guidelines to tweak and move forward with. And again it gave me confidence that I am on the right track to feeling much better! I highly recommend this read, and I REALLY wish doctors would read this. I think the science part would make a lot of sense to them and probably help guide patients better. I can honestly say that CFS Unravelled has changed my life in some way. I have not been given this information about cfs anywhere else and I believe and can relate to it 100% . I read from front to back and it is crucial to do so or you will miss so much important information. Since reading I have been determined to identify the cause of my cfs as I believed there had to be something more than stress and over training (which I believed this to be the cause) but then not everyone gets cfs from stress and over training.... I recently have seen a new doctor and found out I have pyroluria, a genetic disorder where the body produces too many 'kryptopyrroles' which bind themselves to zinc and b6, preventing their use in the body. This occurs with STRESS and can result in ill eases like chronic fatigue. I believe this is my cause and it can be treated but will take time!!! I believe there will be other cfs patients out there who have pyroluria and have not yet been diagnosed. You cannot recover from cfs if pyroluria is not addressed! People ought to know and get tested (urine test) So you're book has given me major hope in my recovery, as I have sought and researched in order to pin point my cause, and have found a doctor willing to do so and who has In fact found a major piece of the puzzle. I have been recommending your book ever since i read it thank you! I have been sick with Chronic Fatigue Syndrome and Fibromyalgia for 16 years and read almost every book written on the subject and frankly stopped reading, because I have heard it all before. I have seen 6 G.P.’s and over 10 Medical Specialists as well as about 6 alternative health practitioners, all with no result. I have come across many ‘cures’ and treatments by people claiming to have recovered from CFS, and so have become very sceptical. In all the years I have never read anything that fully explained how CFS works and how people really get it and recover from it, UNTIL NOW. Nobody before Daniel could ever explain what caused the illness or how all my symptoms were created. Despite my initial scepticism about another ‘cure’, when I met Daniel at my CFS Support Group, I decided to read his book “CFS Unravelled” and I finally understood the cause of all my symptoms. I couldn’t believe how well it described me, it was obviously written by someone who has had CFS. At last I understand what causes CFS and how to go about recovering from it. It’s logical, believable, it makes sense and it fits with everything that I am experiencing. It doesn’t leave any questions unanswered (I tried hard, but couldn’t find any). I finally have the confidence and the tools to recover. I never thought I would feel hopeful and excited again about getting my life back – I look forward to giving you an update. Thank you so much. Firstly, I think it is important to do as the author says and read the book, on the first occasion, from front to back without skipping ahead or skimming - this will give you an overview of the whole picture and avoid you getting fixated on one area and possibly prioritising the wrong area for treatment. Having suffered from ME for a long time I was very keen to read this book and get to the "how to get better" part. Between my haste, brain fog and the fact that I am no biologist, I only grasped the basics of Dan Neuffer's hypothesis about the mechanisms at play in the body that are responsible for beginning, escalating and then perpetuating the symptoms of the disease. To the level at which I was able to understand, though, the hypothesis does sound very convincing. Neuffer goes to great pains to explain, put things different ways and provide analogies, summaries and diagrams for each part of the theory - though this may seem a little excessive to some, I feel that he is trying all avenues to give the reader, at whatever level, understanding enough to alleviate the worry and fear that are a major factor in perpetuating the disease. (Not knowing what is wrong with you and why is an enormous stress when you begin every single day feeling ill, not knowing if and when you will ever be able to resume your life, work and relationships at a meaningful level.) I also found the questions and answers at the end were quite helpful in reinforcing some of the concepts. The book explains how the author arrived at his theory of how the disease starts, hangs around and then gathers momentum, turning into some kind of multi-disease whereby the various aspects work in a circle, continually triggering each other and sometimes spiralling down at the same time, making us weaker and sicker. Neuffer goes into a lot of detail about this, for good reason (as mentioned above) then provides his theories about what needs to be done to break the cycle that causes the disease to self-perpetuate, he acknowledges the difficulties with balancing the various strands of treatment required and advises on the elements to get help with. Given the complexity of the subject I think Neuffer has made a valiant effort to explain it all with enough detail to convince but enough economy that we can manage to get through it. I was particularly interested in Neuffer's explanation of why the suggested dietary changes are important - I had come upon the same conclusions as to what foods were best for me, but hope now to be able to learn how explain with more authority the reasons why I am avoiding certain foods until I am better. There are several recovery stories included, which A) give hope - showing that people can and do recover from CFS and B)illustrate that there are many different roads to recovery. Neuffer is not proposing a rigid path, but offering information on as many of the areas of treatment as possible, whilst proposing that certain areas should be prioritised, with further treatments added in later, only if necessary, on the basis of individual need. Incidentally, the recovery stories are not about people who have read "CFS Unravelled", but who have stumbled upon treatments that have relieved enough of the problem areas for recovery to take hold naturally. I have high hopes for getting more firmly on the path to recovery after reading this book, although I do need to read it again to improve my understanding of some of the more complicated areas. Although I've still not finished reading "CFS Unravelled", it's quite clearly the most exciting and valuable book on ME/CFS that I've encountered in the 15 years that I've been ill with this mysterious "disease". The author, Dan Neuffer, also had ME/CFS so he writes from personal experience. As he began to recover, he turned his scientific training to good use (he's a physicist in Australia) by trawling through the vast quantity of medical research papers on the subject and teaching himself the mechanics of how the human body collects, stores, distributes and replenishes precious energy. From this pile of data, certain patterns began to emerge and from these he was able to construct a recovery programme that really works. He now claims to be completely cured and I certainly believe him. "CFS Unravelled" demonstrates in simple language how to restore the balance of energy utilisation in your own body and cure yourself completely. I never thought I would read those words and it's a bold claim. Buy this book and you'll see it's justified. This book is a must read for anyone suffering with CFS/ME/Fibromyalgia. It has given validity to my symptoms and an action plan for recovery. It is extremely detailed with sound scientific-based facts that are given to help explain the underlying cause of this debilitating illness. This book also contains recommendations for the healing process. In my own research before reading this book, I have deduced many of the same ideas. I have also tried variations of the recommendations with some success, but not 100%. With the knowledge gained from this book I now have the right combination and feel confident that I am not far from recovery! Many thanks to the author for taking the time to revisit CFS and give hope and guidance to others! I believe Dan is the 'Real Deal' and knows his subject and the science well. I read the book on my wife's Kindle (with attached Mini light!) which made the reading experience really enjoyable. I usually read very little outside of computer work, especially since suffering CFS. Dan's writing style and reaffirmation of 'key points' made for a very readable, informative and revealing study. One drawback of the kindle is the lack of colour and inability to study the diagrams in detail, However, Dan offers a link to down load an excellent information pack on PDF. The Key of course is to start de-stressing your life, put in good things and don't be in a hurry. That way the body will eventually heal itself. Dan describes in detail how and why all our 'Chemical Switches' are affected in sufferers. I was able to follow the science for the most part and was fascinated by what I read. A great and inspiring read. Having been a sufferer of Fibromyalgia for over 20 years I was looking forward to this book answering some of my questions and hopefully pointing me towards relief of my symptoms. The book is well researched and written to degree level with a lot of scientific and technical explanations. Do not be put of Dan writes in a friendly style and reminds us that we do not need to fully understand all the background but just to get a feeling of the causes before we start to treat our problems. The book includes many diagrams and charts to help those who are more visually intuitive. Most Doctors can be very dismissive of an illness they are unable to cure and I found this quote very encouraging, "the function of the human body is truly, incomprehensibly complex and any suggestion that we fully understand it is plainly wrong. To this date, we don't even fully understand the benefit and function of the nutrients within a simple piece of broccoli..."
The main thing I can suggest to readers with this CFS or Fibromyalgia is to keep reading the book from start to finish, take your time but do not worry too much if you do not understand everything, Dan will summarise it all for you and as you read on things will make sense. The third part of the book is your master plan to recovery and explains all you need to know to cure your illness. It is broken down into easy to follow sections that you can implement into your lifestyle and give you an idea of what to expect and when. This is one of the most through books I have read on this subject. To anyone suffering from these dreadful, invisible illnesses I recommend you read this book. This book highlights the core issue that lay behind a diagnosis of Cfs . Most CFS books approach the illness with ways to modify the illness through treating symptoms. Neuffer writes in the book that he was so ill with Cfs and no one could cure him. He reached breaking point. As a Physicist, he felt he might have the capacity to uncover the cause as the experts couldn't help him and I think he has done an amazing job. Daniel Neuffer looks at a whole body approach of healing from Cfs. For example he looks at toning down down the Autonomic Nervous System that that he believes is at the crux of the illness. He claims that its dysfunction lays at the core of the illness, perpetuating it and creating the nasty symptoms. This is why so many can't fathom why stress affects them so much. Diet is a very important part of this book, as he talks about consuming the wrong foods that can exacerbate the illness. For example sugar, as he explains how important it is to eliminate it from the diet as it has a spill over effect of creating unstable blood sugar metabolism worsening the impact of the illness. He outlines what diet a CFS person should eat and why it is important to eat at certain times to help maintain regular the rhythms to create body balance. He talks about how important it is to maintain more stable cortisol levels, so eating a nutrient rich natural diet is crucial to recovery. Also he looks at issues of Methylation and whether the body is detoxing as many CFS folk do not. He goes into detail about supplements explaining how thy can assist the body in healing but not to overload it is the key. Everyone has done the supplant thing and knows its not the cure. However his main focus is calming the nervous system and using food as key nutrients . Also he looks at the stress factor and makes suggestions as to how to resolve issues that could be holding a person back from recovery. This is a well researched book. He knows his stuff and goes about guiding the sufferer on how to heal the body. It is very well laid out and each chapter is well summarised. I am glad I purchased it as it has added to my knowledge bank having been a long sufferer myself . Over the years of my illness, I had so many different pieces of information but never found anything that linked it all together. I went to libraries and spent countless hours on the internet searching for a miracle cure, but never found one that worked. I kept searching for cures and treatments, but never for the cause of the illness – WHAT A BIG MISTAKE!!! Then I read CFS Unravelled and it seemed like it was tailor written for me. I could not stop reading it. Nothing about Fibromyalgia or Chronic Fatigue Syndrome that I have ever read before has brought it all together like this. What a great book for partners of CFS sufferers to read – finally my husband understood what I was going through, but more importantly, how to help me recover and stay well. After 4 years of being sick, I have found a whole new appreciation for living with good health, and have been well for a number of years now. Understanding the cause of CFS and how I got sick means that I will NEVER put myself in jeopardy again and I am confident than I will stay healthy. I think it’s one thing to get healthy but to fully understand how you did it is critical if you want to stay well and not have any relapses. Just give it a chance. Reading CFS Unravelled will be the only book on Chronic Fatigue Syndrome you need to read. There were times when I got frustrated when reading this book for the first time, however when I stepped back from it and thought about it, then re-read it, I started to see the big picture and I began to appreciate it. Until reading this book my recovery efforts have been focused on 'pacing' and activity levels, but I failed to realize the importance of emotional and mental well-being. While the book does not go into great detail of what this might look like it points you in that direction and keeps you focused on it. The author keeps you from getting too caught up in the other treatments. Indeed, in my own recovery it was easy the get overwhelmed and paniced over supplement and medicines' management. There a few wacky suggestions but they are over shadowed by much well balanced advice. For the majority of CFS sufferers who will slowly recover over time, this book offers advice that will aid in that recovery, though it's easy to see how some might get a little pissed off at first reading of it. Dan Neuffer has done a brilliant job documenting and explaining how the autonomic nervous system appears to be of foundational concern for CFS, ME and fibromyalgia. I made the link that it’s clear that protracted psychiatric withdrawal syndromes, too, also fall into his theory very neatly. It seems many chronic illnesses and autoimmune illnesses have this autonomic nervous system involvement. I’ve not seen anyone else pull together so many of the issues I think about as I move through my own recovery. What a joy to find it. He understands deeply how everything matters. This holistic understanding of our natures and particularly these illnesses, is the cornerstone to how I’m healing myself as well. To have it all articulated so well, again, is a delight. I find it sad that some people seem to give up hope altogether. I hope people will read this book and find a way to heal. I've seen this process heal many whom I interact with as well...it's how may people recover, whether they're actually aware of it or not. I found this book to be the best book I have read regarding Fibromyalgia and CFS. I have run a support group for five years for people suffering these disorders. This is the only book I recommend for our members. It gives the biological understanding of what is going on in our bodies along with a way to heal ourselves from these horrific disorders. Every member who has read this book agrees that it truly makes sense. For those of you who are unsure about purchasing the book, I say invest the $8.99 and see if you agree with me and my members. It is a little price to pay for a whole lot of understanding why you are the way you are. The author then gives you the road to recovery; not remission, recovery!